NO. 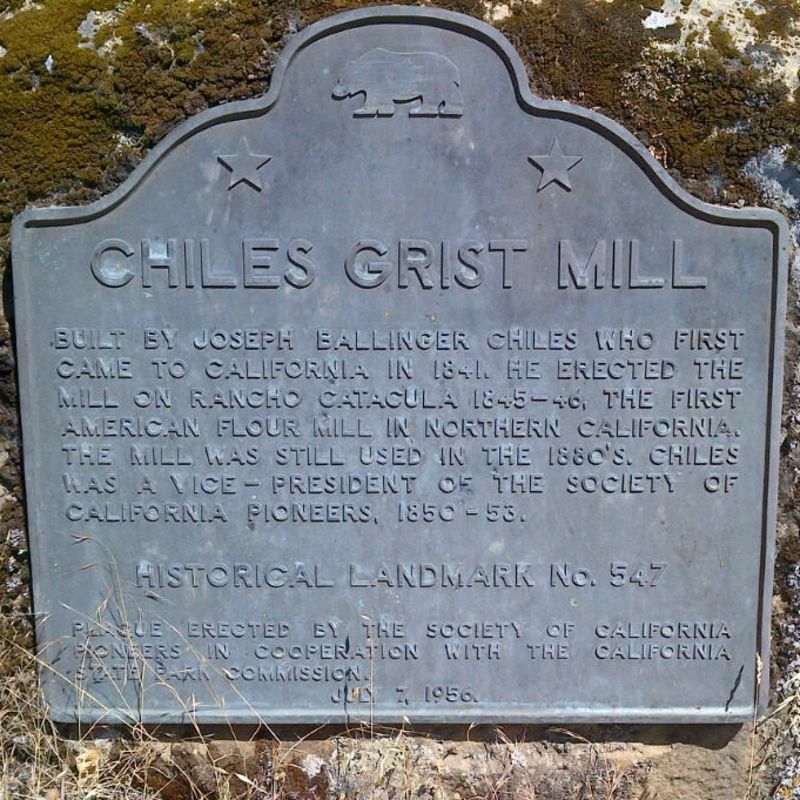 547 CHILES MILL - Joseph Ballinger Chiles, who first came to California in 1841, erected the mill on Rancho Catacula 1845-56. The first American flour mill in Northern California, it was still in use in the 1880s. Chiles served as a vice president of the Society of California Pioneers, 1850-53. 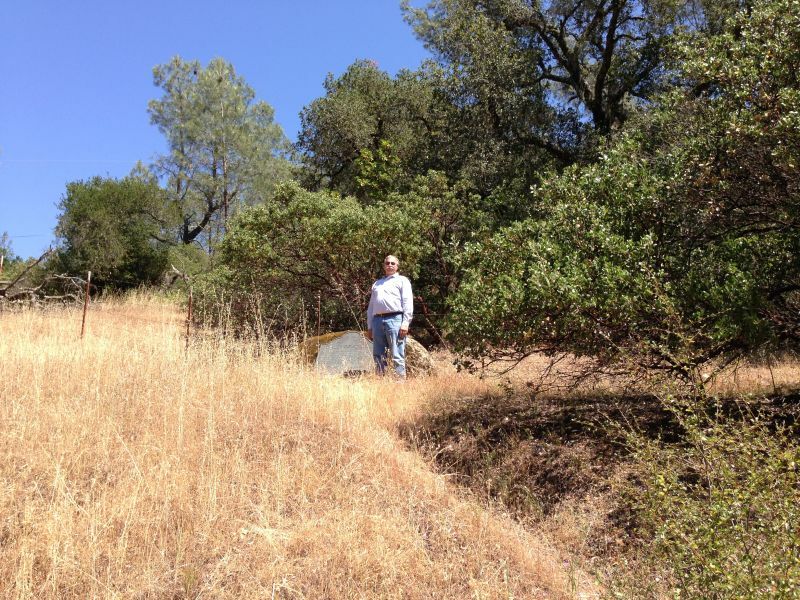 Look up on the hill for the plaque. Joseph B. Chiles Whatever Happened to Joseph Chiles?